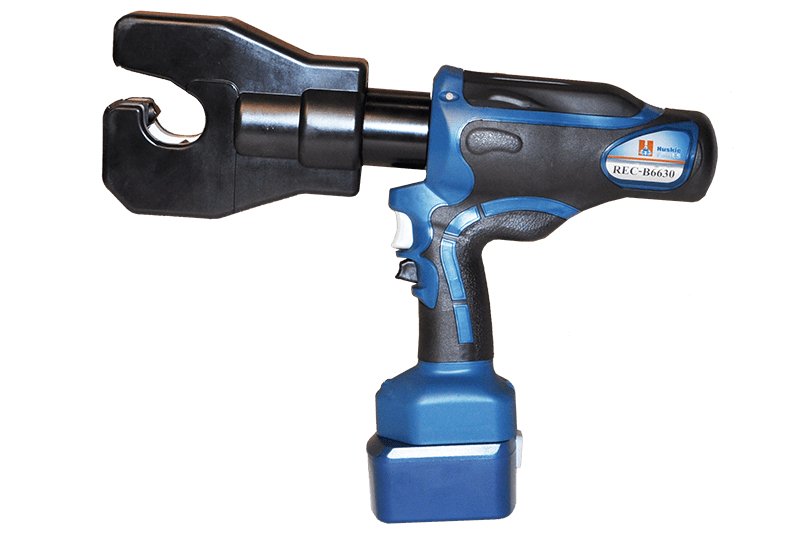 The REC-B6630 is a battery operated, dieless compression tool used to compress Anderson style lugs. Six tons of compression force are achieved when the tool advances and bypasses at the predetermined pressure. Advance and retract buttons on the tool handle allow for one hand operation, freeing the other hand to maneuver the cable. The REC-B6630 is designed to crimp Anderson Style connectors. Other brand connectors manufactured to ANSI specifications C119.4 can be used. For range-taking connectors, the cable must be maximum size specified for the connector. Consult your connector manufacturer for dieless applications. ; NOTE: For range taking connectors, the cable must be the maximum size specified for the connector. Consult your connector manufacturer for dieless applications.